The Food Alphabet and More: Starbucks introduces new Signature Pairings for everyday breakfasts and lunches! Starbucks introduces new Signature Pairings for everyday breakfasts and lunches! Many of us live hectic lives, with countless deadlines to meet, requirements to deliver, and tasks to complete, and sometimes having time for a healthy and hearty meal can be quite challenging. Good thing, we have Starbucks which serves the perfect treats for both breakfast and lunch through their new Signature Pairings. 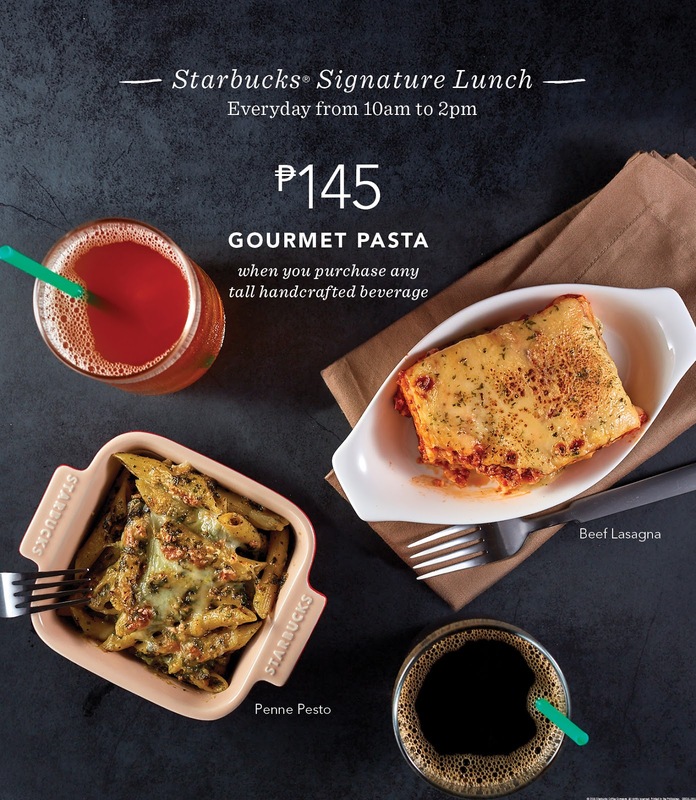 Starbucks Signature Pairings are delectable meals partnered with your favorite coffee or tea. These are available at a discounted price when you purchase it with any Tall handcrafted beverage. Starbucks Signature Breakfast is available from the store's opening until 10am, while you can avail the Starbucks Signature Lunch from 10am to 2pm. 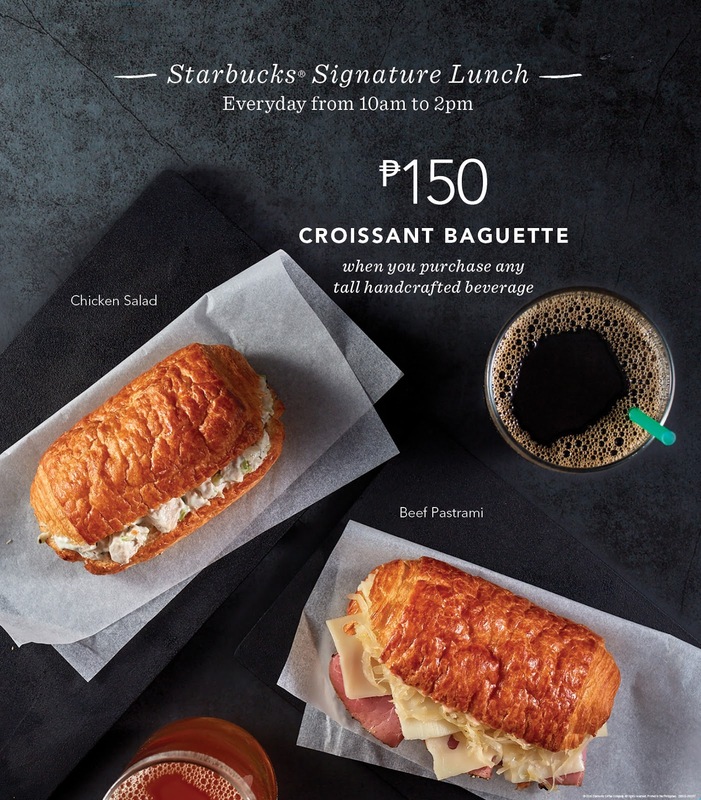 "We know how many of our customers are constantly in search of great food that they can enjoy with their favorite Starbucks handcrafted beverage, that's why we're bringing in new food options that will satisfy their cravings," Keith Cole, head of marketing for Starbucks Philippines said. 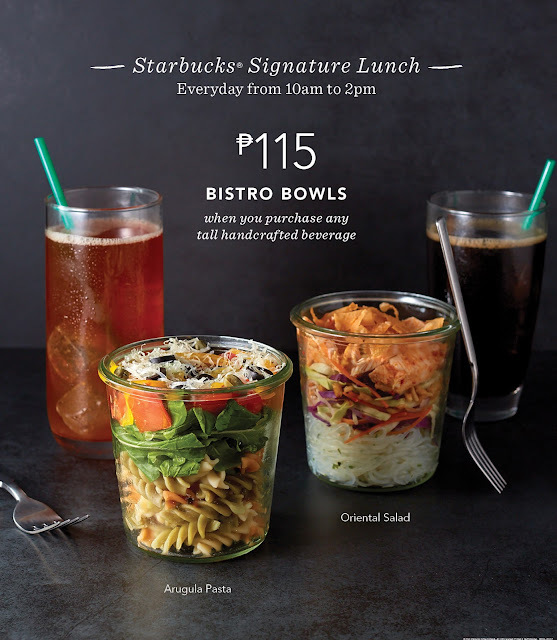 For a delectably filling lunch try the two new pasta dishes by Starbucks. Classic Beef Lasagna is made with savory meat, creamy béchamel sauce and lasagna baked with a topping of mozzarella cheese. Penne Pesto with Mushroom is also a great choice for those looking for a quick and delicious meal, it is made with penne that is sautéed with button mushroom and creamy pesto sauce. For those searching for a light and quick option for their midday meal, Arugula Pasta Salad with Creamy Parmesan is an ideal option. Made with al dente tri-color fusilli pasta, fresh tomatoes, black olives, and red bell pepper, served on a bed of arugula with a creamy parmesan dressing, this is the perfect healthy meal to get you through the day. You can also try the Oriental Vermicelli Chicken Salad, a delicious meal that is comprised of vermicelli noodles tossed in oriental dressing with crunchy vegetables, crispy fried wanton strips and sesame chicken slices. Arugula Pasta Salad with Creamy Parmesan and Oriental Vermicelli Chicken Salad are the latest additions to Starbucks Bistro Bowls, which makes it a perfect on-the-go meal. 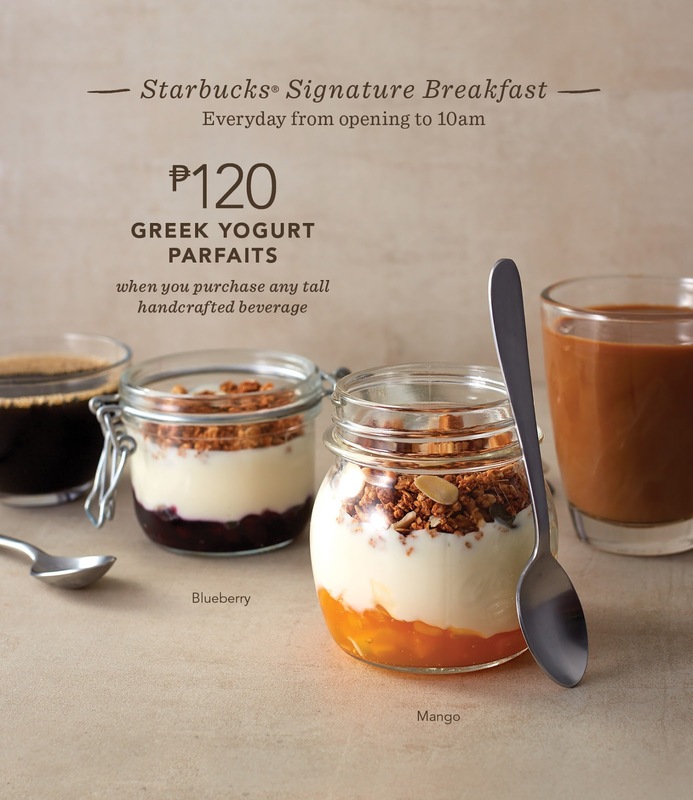 These dishes are perfectly paired with any Starbucks handcrafted beverage, and by purchasing a Tall beverage you can get these at ₱20 off., Breakfast options like the Mango Greek Yogurt Parfait and Blueberry Greek Yogurt Parfait can also be enjoyed at a lower price when purchased with any Tall handcrafted beverage. Visit your favorite Starbucks store and savor the flavors of these Signature Pairings today!